A drafting table from about 1950 is signed "Mayline of Sheboygan, Wis.," and could function as a counter or kitchen island. The top is solid maple with steel ends, the rugged base is solid oak. There is a wide drawer plus three smaller drawers, one with removable dividers. 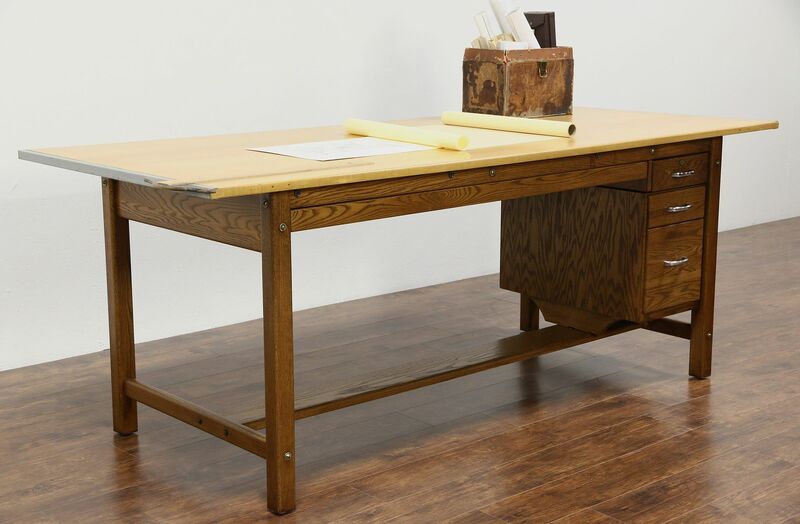 The restored finish is in excellent condition on this American made vintage office or industrial furniture. Chrome pulls are original, the top is removable for easier transport. Size is 8' long, 42" wide and 37" tall.